In today’s world, the only real luxury is Time. Imagine a place on earth where you lose track of time. The surrounding so serene and scenic that sense of calmness prevails outside and within. That’s how you feel the moment you walk into Vivanta by Taj, Bekal in Kerala. 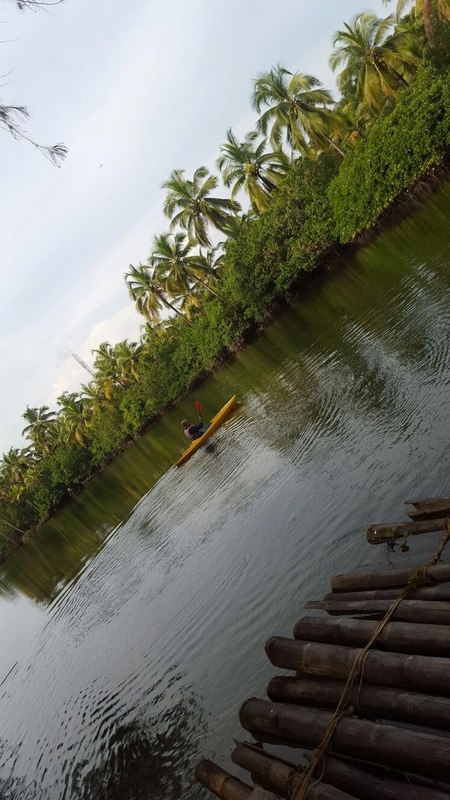 God’s Own Country Kerala has many hidden gems which offer a piece of paradise to every type of traveler be it the adventure seeker, the spiritual follower or the wanderer. And, Bekal takes the top spot. Nestled in the green heartland of southern India, on the border of northern Kerala and Karnataka, Bekal is truly divine. 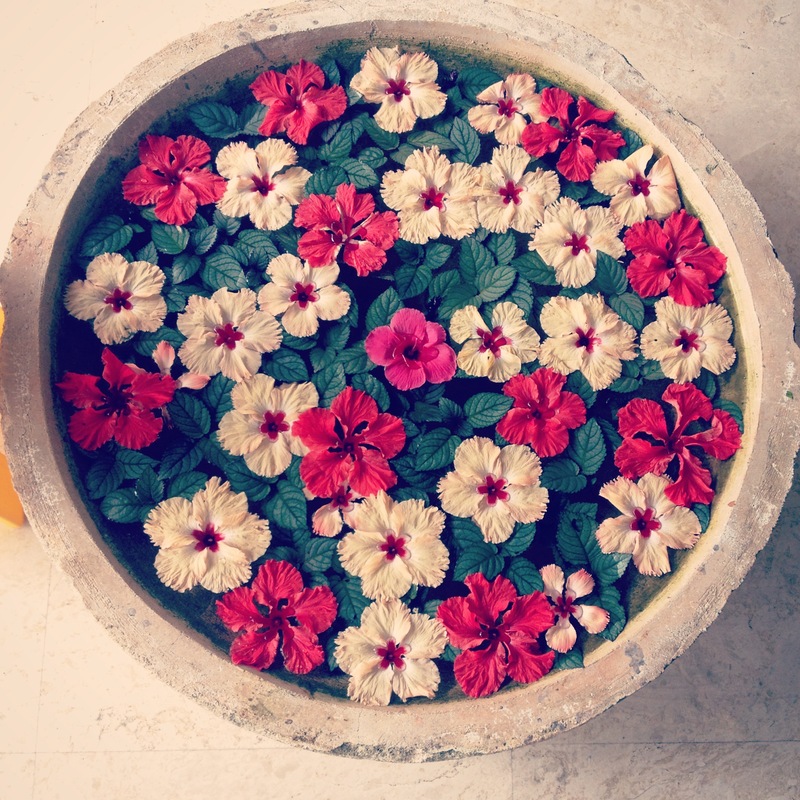 And, Vivanta By Taj is the gateway to that piece of paradise. Around 80 km drive from Mangalore airport; the road that leads to this piece of heaven is a bit bumpy at the moment with construction works still on in some patches. So, the drive to the resort may take you around 2 hours, but remember? No pain no gain. Once you arrive at the property, the welcome drink – a delicious mix of coconut water, honey and lime will adequately fill your belly and ease out all the stress of the long travel. Also, it will prepare you for that unforgettable experience. You witness the expansive Balinese architecture around blended well with a part of Kerala culture, the Kettuvallam (traditional Kerala houseboat). The resort is spread across 26 acres of land, with backwaters of Kappil River in its backyard and Arabian Sea on one side. 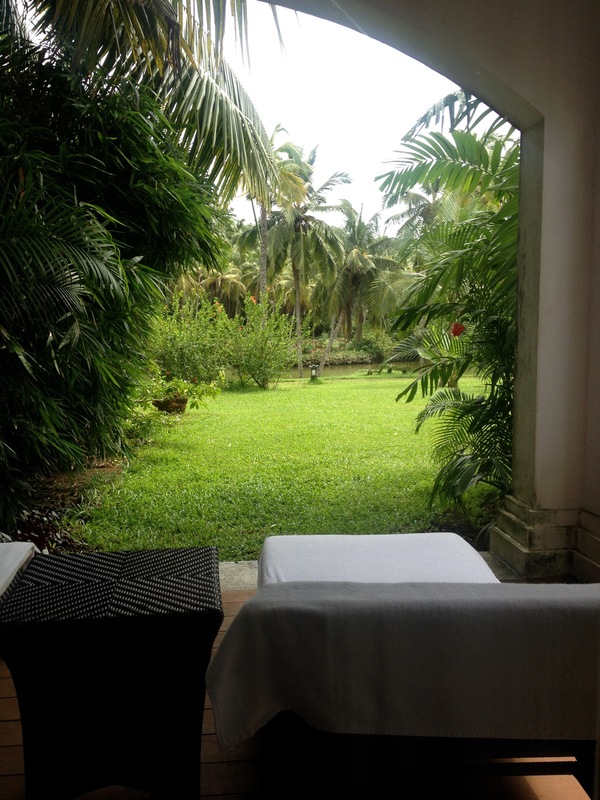 The 73 luxurious rooms and villas overlook the lush greenery, the backwaters, and the sea. You can choose from various categories of villas. 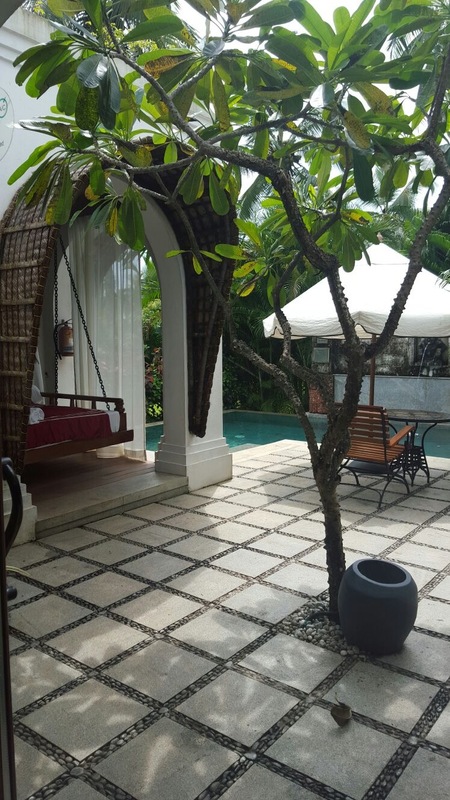 If you are lucky enough to get villa number 454, you have a plunge pool in your courtyard, outside sitting, an open area bathtub, shower, and day bed (a swing) too. The villas offer plenty of privacy for families as well as couples. The walls in the rooms adorn ancient Chitra Pothi art. 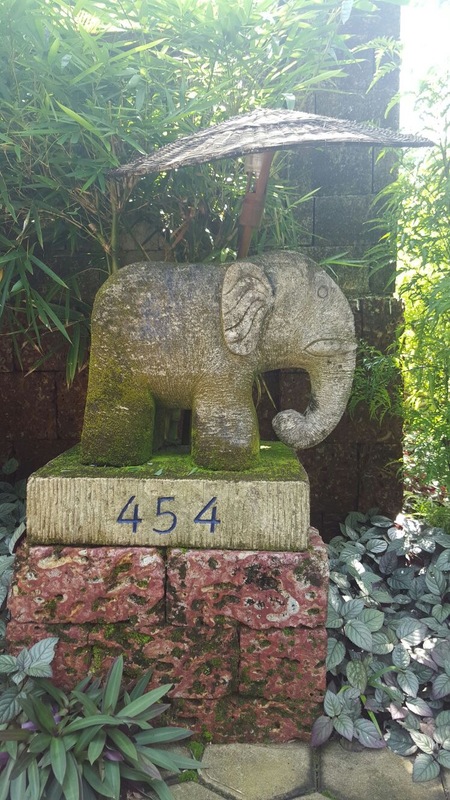 Stone sculptures of the mythical Garuda, the elephants, and other mythological figures greet you as you take a stroll across the resort’s sprawling lobbies and by lanes. 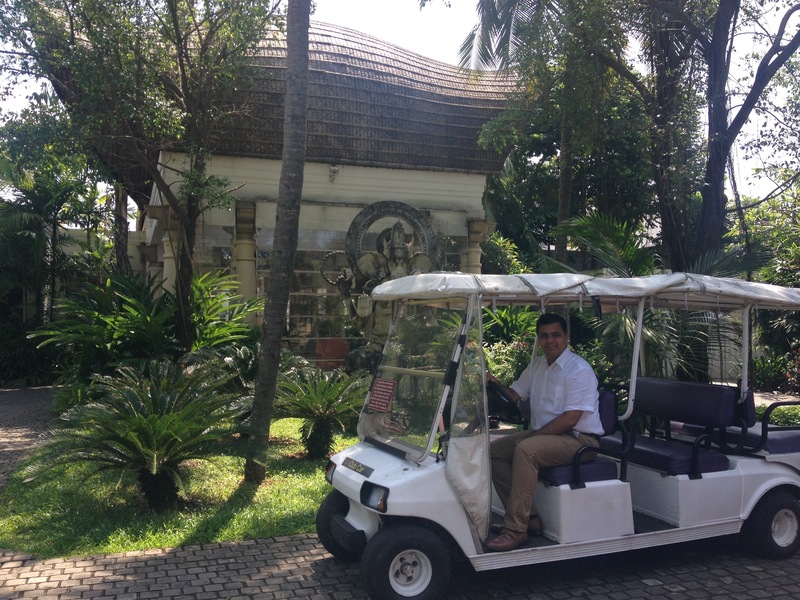 Don’t want to take a walk, no problem; a golf cart will reach outside your villa on request. 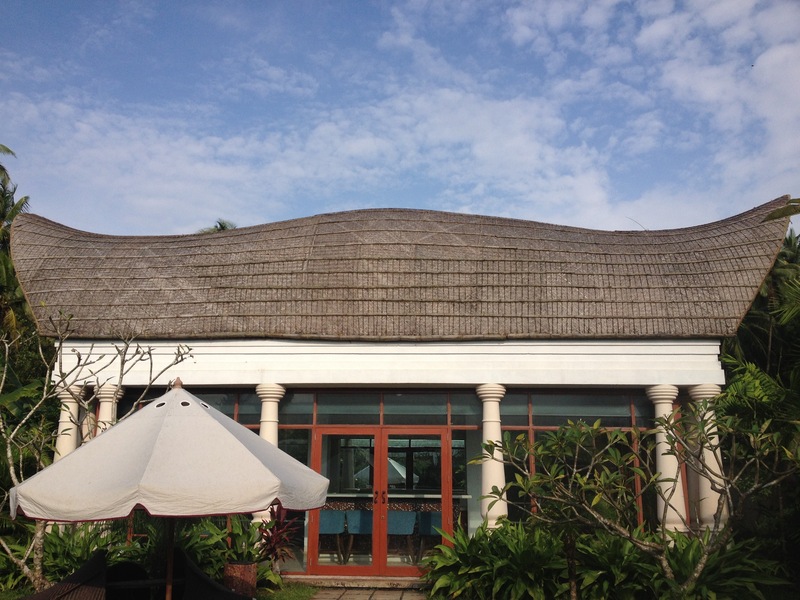 The resort offers activities such as kayaking, bamboo rafting, archeries, and paintball. 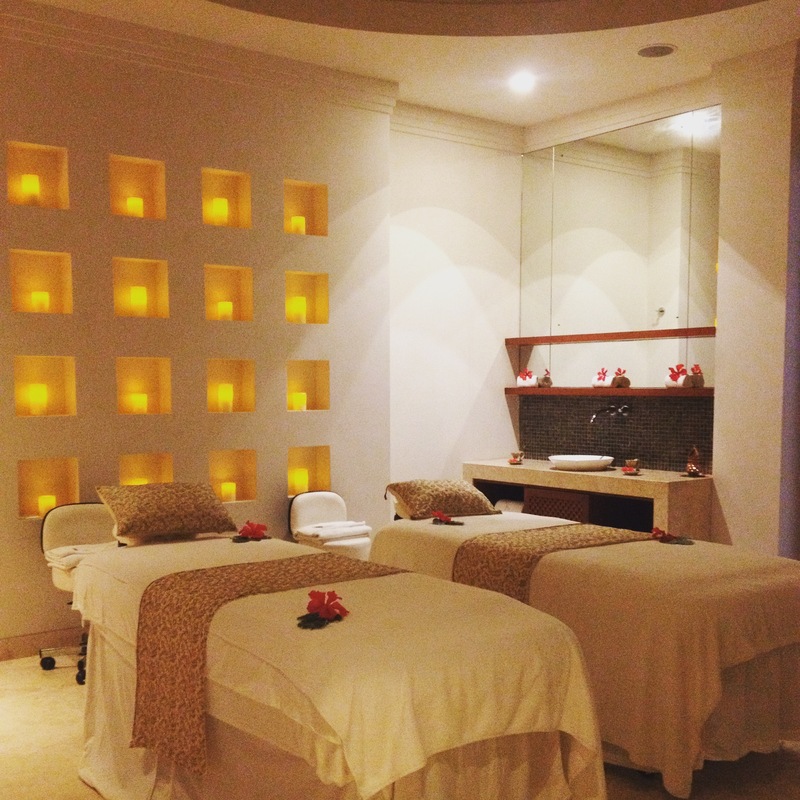 If you want to just relax, head to the Jiva Grande Spa. It has been rated as one of Asia’s best luxury spas. From Jiva signature experience, Ayurveda journeys to wellness cuisines and yoga retreats, the use of Indian herbs, aromatherapy oils make the whole experience blissful. The spa has private courtyard attached to each of its spa rooms. The spa also offers therapies to couples interested in holding ceremonies to renew their wedding vows. If you don’t fancy any of these, take a walk (40 minutes) or take a cycle ride or drive down to the Bekal Fort. The 400-year-old, one of the oldest in the region, Bekal fort offers a great vantage point for photographers and nature lovers. The fort was once a military station under Tipu Sultan’s empire, which later went to the British East India Company. However, its modern claim to fame has been that the Arvind Swamy starrer movie Bombay’s famous song “Tu Hi Re” was filmed at this location. 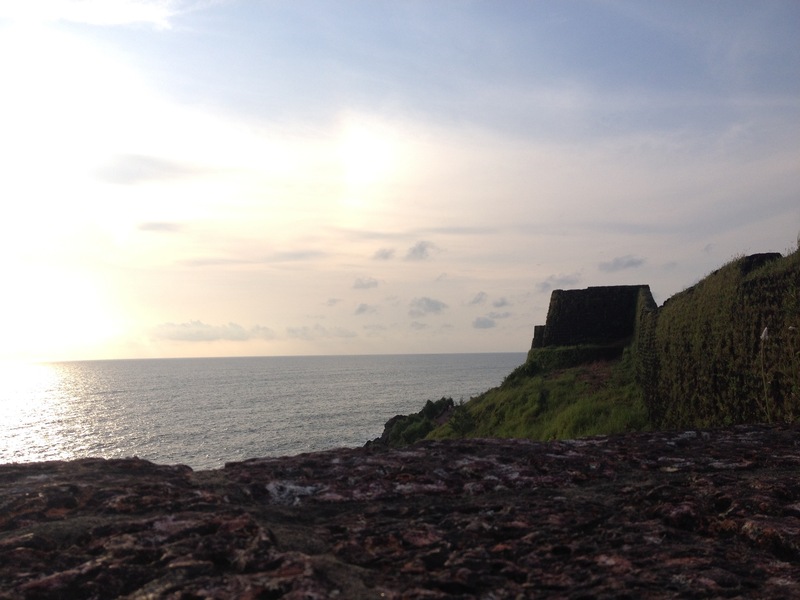 If you are not here to enjoy the monsoon rain, watching the sunset at the fort should be in the must-do list. 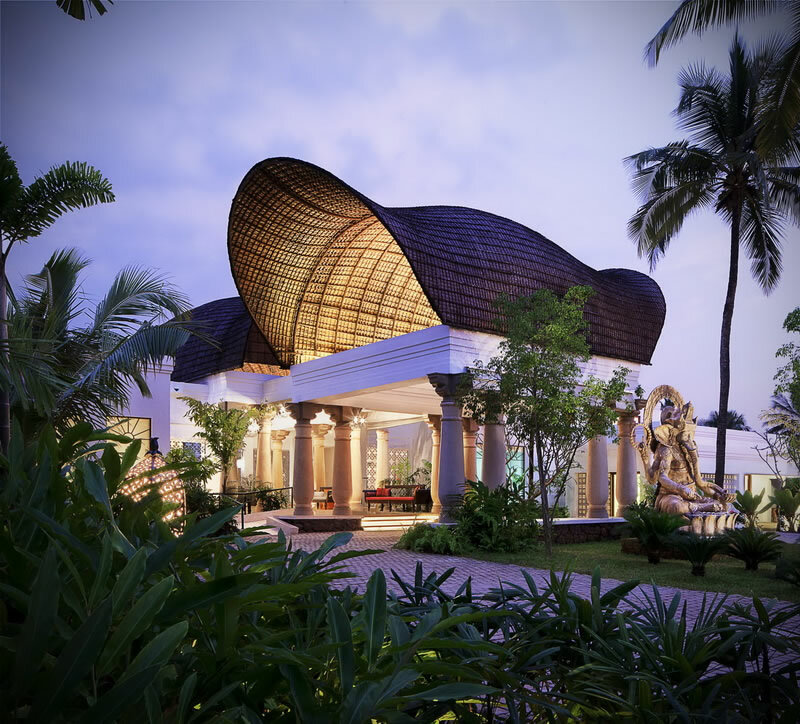 Stay at Vivanta by Taj Bekal is incomplete without a meal at the specialty restaurant By the Bay. 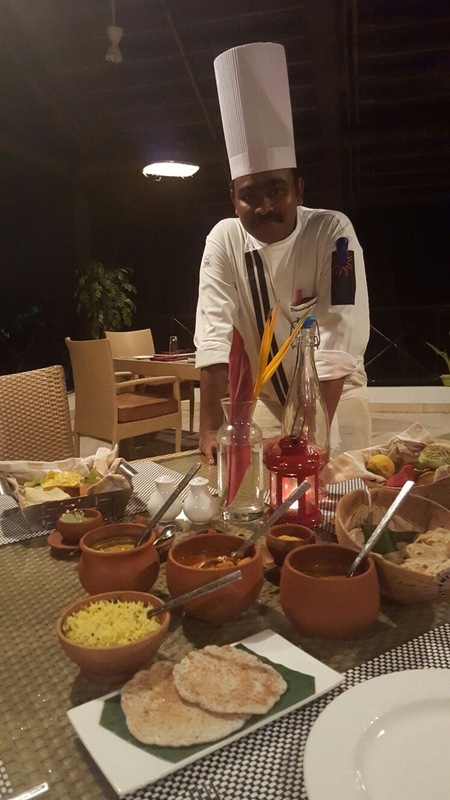 The place is only open for dinner and Chef De Partie; Dhandabani U prepares some extraordinary dishes using spices and sauces made in his kitchen. 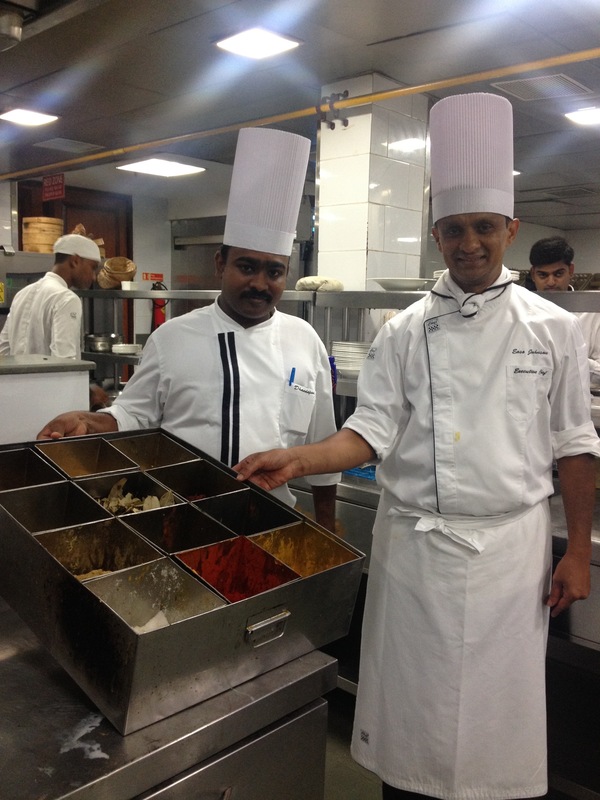 He has mastered the art of authentic Kerala style of cooking following the traditional methods. What must you try here? Go for the Kane Kaidini (A fish fry with the stuffing of spices), Chicken Ghee Roast (don’t bother about the copious amount of ghee in this dish) and Kaaju Kotmir Wada in starters. In the main course, Kerala Paratha, Alappey Fish curry prepared with raw mango (the preparations are done one day before), Alemu Arepu (mushroom), Kallappam and Chitranna (Tamarind Rice). You must also try the bread made of jackfruit, curry leaf, and chili. For dessert, go for the Tender coconut payasam. By the end of the night if you are still standing, walk back to your villa to prepare yourself for an exquisite meal of ‘Sadya’ the next day. 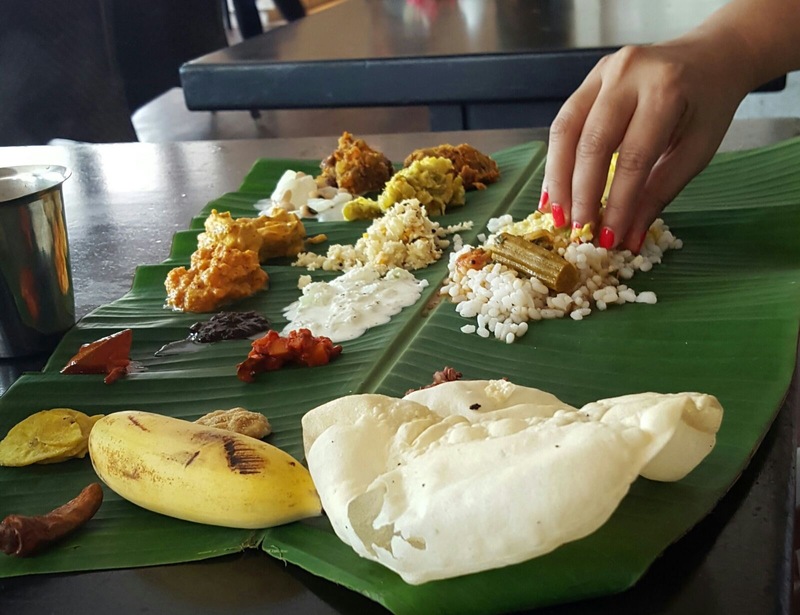 Sadya is the traditional Kerala style of meal served on a banana leaf and mainly prepared for guests at weddings. The meal usually has 64 dishes, which is cooked by women who start early in the morning and finish cooking before noon. On special request, the hotel will serve you a non-vegetarian ‘sadya’ with fish and chicken at the all day dining ‘Latitude’ but it is limited to around 22 dishes prepared under the supervision of Chef Easo Johnson. 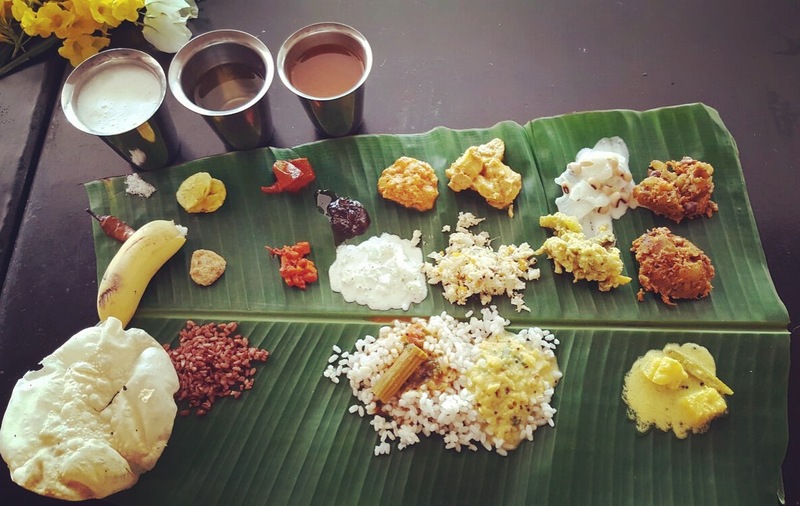 Honestly, a meal with 22 dishes including rasam, chaas, paadimukum (special boiled water that has wood chips of the paadimukum tree that help in digestion) and paruppu (moong daal) with jaggery payasam deserves someone with a greedy appetite. So, what do you do after enjoying an extravagant meal such as this? 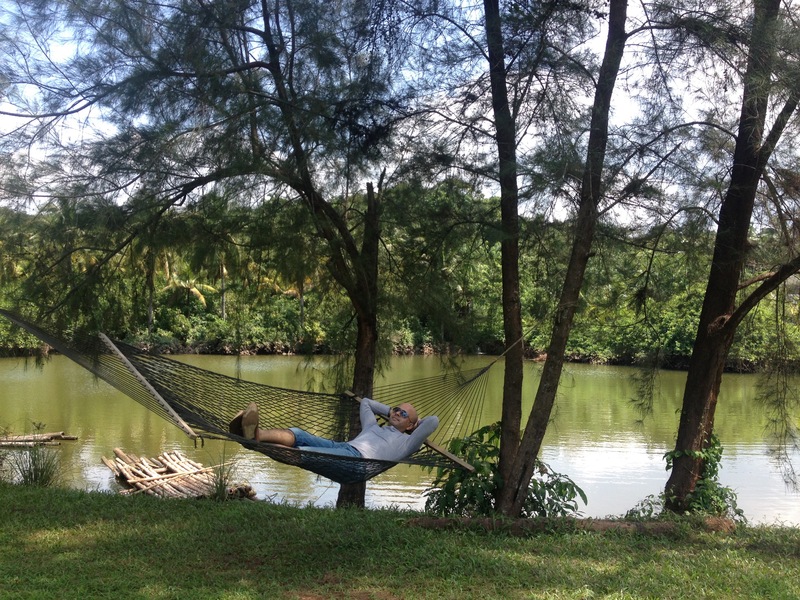 Go for an afternoon siesta. 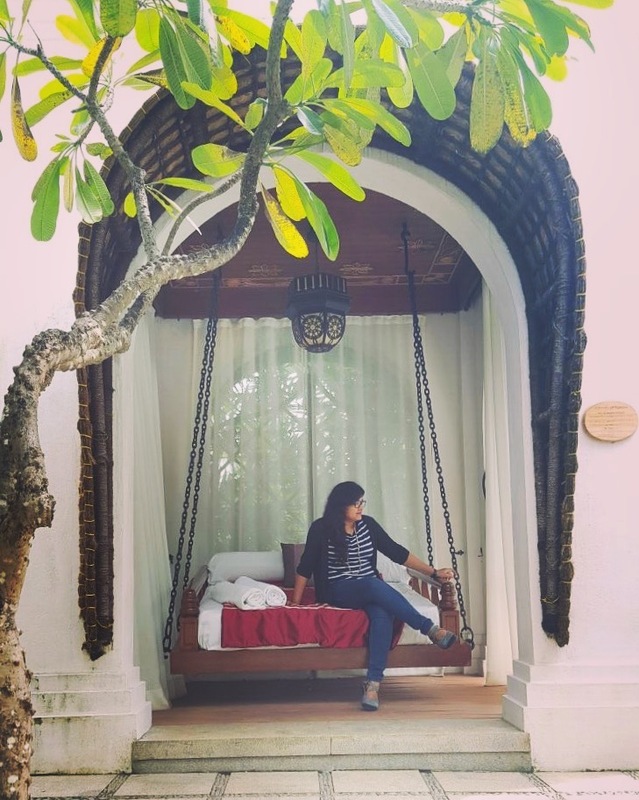 The day swing bed in the courtyard is just perfect to take a nap amidst the chirping of birds while the soft breeze carrying the sound of the crashing waves takes you into a deep slumber. In the evening head to Ivory Bar and ask the mixologist, Mithun, to surprise you with one of his cocktails creations. While you walk back to the villa, embrace the soothing music playing from the concealed outdoor speakers around the resort’s landscape as it imparts a calming effect on the body, mind, and soul.